I got a follow-up email from the writer looking for help with their rewrite. They had implemented some of my recommendations, but for the most part hadn’t really changed that much. They stated they had not done a huge rewrite,which in my opinion was their first mistake. This thing needs a major, page-one overhaul, complete with a well-developed outline. I’d be happy to consult on that, but that’s not why I was contacted. All I had to do was take my suggestions on how to make it better and put them in where necessary. Simple things. Like establishing who the main character was, or having conflict in each scene, and so on. That’s a much bigger job than this person realizes. You can’t fix a lousy script with little fixes here and there. Screenwriters just starting out usually hear the metaphor that the script is the blueprint for your building. 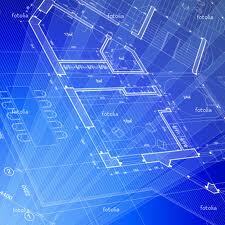 If the blueprint isn’t solid, the building will come crashing down. Same thing applies to screenwriting. Lousy script, lousy movie. I can’t tell if this person is impatient or just doesn’t want to go to the trouble of actually fine-tuning a good concept into a solid script. The more I thought about it, the more I realized how miserable I would have been working on this. So I politely said thanks, but no thanks. It was the right choice. The proverbial weight on my shoulders has been lifted. On a positive note, I’m starting on a new freelance project next week and waiting to hear about another one, so in my spare time I can get back to the rewrite, which I’ve really been looking forward to. Good times are ahead and getting closer. ← The writing gods are testing me. Again.